WORCESTER, Mass. - The Holy Cross women's ice hockey team fell to Maine, 3-0, Sunday afternoon at the Hart Center. The game was scoreless through the first two periods with Jada Brenon recording 25 saves in those two frames. The Crusaders put 10 shots on goal in the first 40 minutes, five a period. 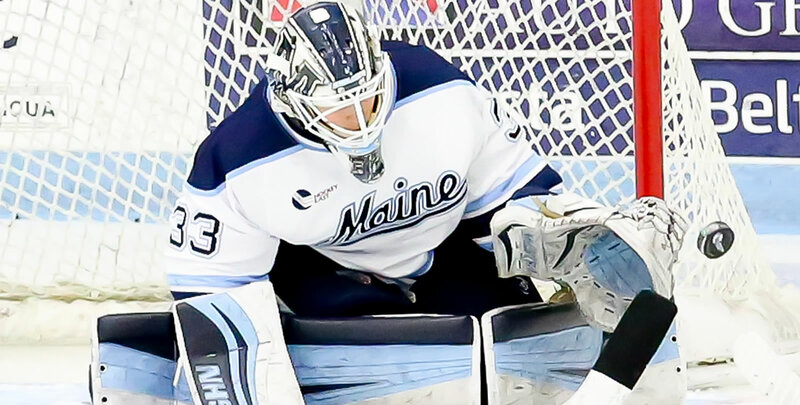 Maine finally broke through in the final period scoring three times in the frame. 1-0 MNE (3rd, 8:52, EV): The Crusaders did a nice job killing off a minute and a half of a 5-on-3 and then 30 seconds of a man down only to give up a goal once they were back to full strength. Brenon made a save on a hard shot that rebounded straight out between the circles where Brittany Kucera sent it home. 2-0 MNE (3rd, 12:55, EV): The Black Bears added a second a few minutes later. 3-0 MNE (3rd, 17:51, EV): Maine finished the game on a bit of a roll with their third of the period. - Brenon made 36 saves for the second game in a row. - The Crusaders went 3-for-3 on the penalty kill. The Crusaders are back in action next Friday when they host Boston University in the first half of a home-and-home at 7:05 p.m.